There are many DIY tutorials of making gel candles at home. 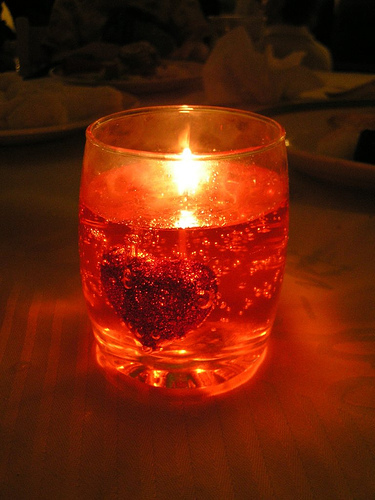 If you are creative in making gel candles, you can surely make good money. Gel candle makes a great gift ideas to give whenever there’s a birthdays, anniversaries, weddings and other special occasions. Melting ~ Follow regular candle making safety guidelines for heating, pouring and burning. Melts at approximately 180-200 degrees & will take considerably longer to melt than wax. A covered Presto Kitchen Kettle, or similar, works great. Wicks ~ We recommend using Gelwicks™ for containers up to 2 or 2.5″ diameter. Coreless Cotton container wicks can also be used if you prefer not to use a zinc core. Test burning will be necessary to determine proper size for your application. Gel works best in containers no larger than 2.5 – 3 inches in diameter. Multiple wicks are not recommended. Fragrance ~ It is recommended to use non-polar candle fragrance oils, with a flash point of 170 or higher. Stir thoroughly & be sure they blend well. Recommended amount is up to 3% (.48 or approx. 1/2 oz) per pound for CLP, up to 5% (.80 or approx. 3/4oz) for CMP & up to 5% (.80 or approx. 3/4 oz) for CHP. NOTE: It is important to follow these guidelines for making safe gel candles! Coloring ~ It is recommended that less dye be used than in regular candles if you want to maintain the translucency of the gel. We recommend liquid dyes. Color Blocks can also be used by shaving off tiny bits and melting into the gel. Embedding ~ Non-flammable objects may be embedded in this gel, just let it cool to approximately 100 degrees before embedding. Clean your seashells and other embed items so they are free of any residue by washing them with warm mineral oil. This will help keep the gel from clouding and help reduce air bubbles. We recommend using only gel safe fragrance oils in your wax embeds. 1. Choose your desired density; mix the proper amounts of mineral oil and resin. 2. Once mixed well, let sit for 1 hour. 3. When the mixture has sat for 1 hour, mix well until all the lumps are gone. 4. Heat your mixture up to 220° F on your stovetop, as your gel heats it will turn clear. 5. Pour your gel into a container and let it cool, once the gel has cooled seal with a tight lid. where can you buy White Mineral Oil with a flash point of 3750 F? Where can I find a supplier of gel wax and gel wicks? Please help, thanks!